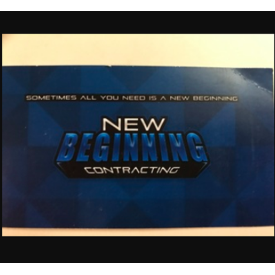 From backsplash tiles to hardwood floors, New Beginning Contracting in Winder, GA is a genuine professional who offers a full line of remodeling services. As an up-and-coming insured company, we intend to grow immeasurably by providing unbeatable service to all our clients. We are cross-trained to tackle home remodeling projects involving bathroom remodels, home painting and tile installation. If you would like your home renovated, look no further than us. From the minor details to the bigger picture, we stay focused on ensuring each project reaches fruition. We provide exterior painting and interior painting services expedited by our skilled professionals. We also are well-adept in floor installation work, custom carpentry and basement remodels. There is a plethora of disciplines we are exceedingly deft in and we are happy to show you a portfolio of our work. Whether you need a door installation or window installation done or our expertise in kitchen remodels or bathroom remodels, count on us to deliver stupefying results for a fantastic rate. Our staff is also excellent in garage door repair and garage door installation. Call New Beginning Contracting in Winder, GA at 678-577-3131 to obtain the home of your dreams. We are focused on satisfying your aspirations for a larger and new and improved home.